Novel is a Registered Dietitian by profession. She graduated from the University of Maryland with a Bachelor's Degree in Nutrition. She then continued to Long Island University in Brooklyn, NY where she completed a Master's Degree in Health Management. She brings a wealth of management experience to the practice. She has great people skills. Patients comment on their experience with her on the telephone: "thorough, assertive, great people person, great follow through and follow up" are some of the superlatives our patients use to describe Novel. Novel has been with Allen Dental full time since June 2006. 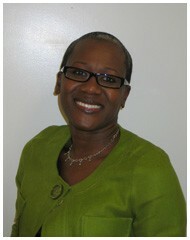 She was previously employed as a Clinical Nutrition Manager at Mt. Sinai Hospital in Miami Beach. Her hobbies are hospitality/entertaining, shopping, traveling, reading and interior decorating. She is a lifelong member of the Seventh-Day Adventist Church. She is married and has a fourteen-year-old daughter, Danielle. 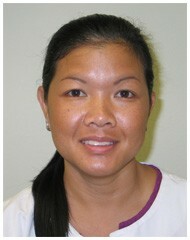 Simone is a graduate of Concorde Dental Institute. She has been with Allen Dental since Day 1. Simone has a great personality for Dentistry. She loves people and is very compassionate and caring. Great team player and is always willing to go the extra mile for our patients. She is diligent about following up with patients after having treatment. She makes sure they are comfortable, and keeps Dr. Allen abreast of their needs. Simone loves fine restaurants, shopping, traveling, " the outdoors" and BMWs. She is willing to try anything at least once. She has been skydiving and bungee jumping. Diana graduated from the Universidad de Antioquia in Columbia in 1997 as a Dentist. She migrated to the United States in 1999. She started working as a Dental Assistant in 2001, and sat and passed the Dental Hygiene Boards. She started working as a Dental Hygienist in 2003. 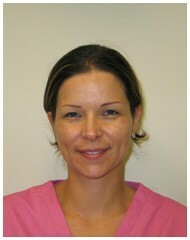 Diana joined Allen Dental in March 2009. She is a keeper. Our patients love her. She is pleasant, friendly, extroverted, a team player and best of all painless. Patients always say " Next time I come, I want her". She lists her hobbies as - eating, dancing, traveling, and going to the beach. "My latest hobby is going to the spa ...... LOL. Referring to our office's quarterly trip to the spa. Diana says, "I was born in Colombia, I have a nice family that I miss a lot. I have been in the USA for 10 years and have always worked in the dental field. I have a 3-year-old son, Nicholas, who is everything to me. I love to work and I love what I do; especially this dental office that I am working now.